The immersed screw pumps couple with immersed motor OR Flange mounted motor run quietly and without pulsation and guarantee a long life. 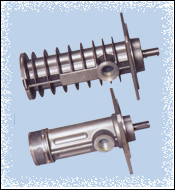 Screw pumps are used in Hydraulic Elevator and Hydraulic Systems of every kind. 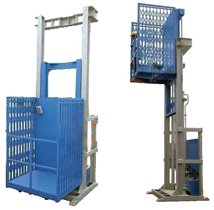 Down Over speed Safety for Hydraulic Lift. The piston and cylinder assembly forms the hydraulic lifting mechanism. Ideal surface and circularity valves for the pistons are achieved and superior. Travel Up to 12 Mt. with simple cylinder & 15 Mt. with Split cylinder. Design and manufacturing that facilitate installation and maintenance. 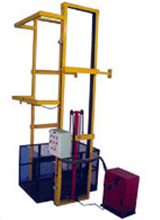 Manufacture of system for special applications.